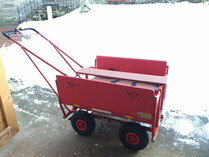 Neues Angebot im Familientreff: Krippenwagen-Ausflüge - Familientreff Hardegsen "Klatschmohn" e.V. Have you ever thought about publishing an e-book or guest authoring on other websites? I have a blog based on the same subjects you discuss and would love to have you share some stories/information. I know my subscribers would value your work. If you're even remotely interested, feel free to shoot me an email.